More photos are available here. Don't forget to follow their social media accounts! 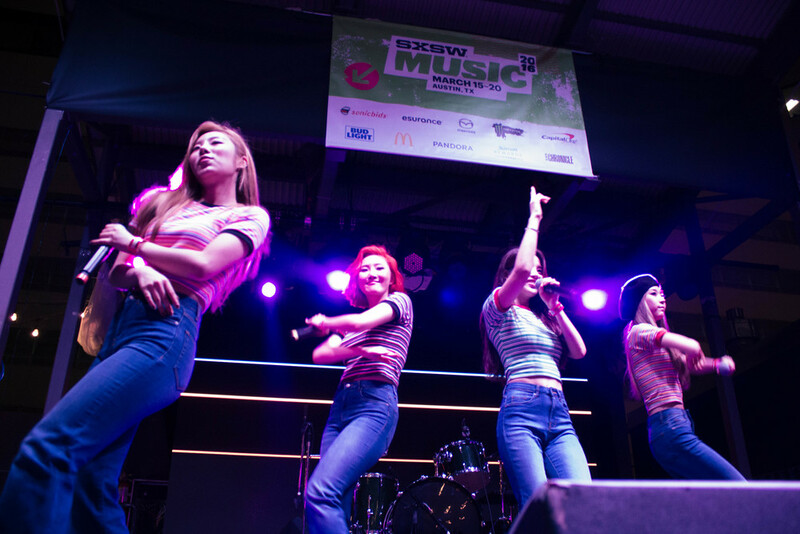 Mamamoo performed right Love x Stero during SXSW. They performed a total of 4 songs, including1cm의 자존심 (Taller Than You), Mr. Ambiguous (Mr.애매모호), Um Oh Ah Yeh 음오아예, and You're the best 넌 is 뭔들. Performance videos are below. First time seeing Zion T live! Of course he performed Eat 꺼내 먹어요 and Yonghwa Bridge 양화대교, in which the entire crowd sang along to. DΞΔN TRBL, otherwise known as Dean, had the first Asian act in the Spotify House. He performed a short 20-min set. This event was free for the public (21+) as long as you grabbed a SXSW Guest Pass. About 50 people showed up at Spotify's back patio, but the fans definitely made sure nobody else can get through the front row. We also happened to catch him performing the next day at KOCCA's KOP NIGHT OUT, where he performed after Mamamoo and before Zion T.
© 2018 TeamBunbun. All Rights Reserved.